This entry was posted in Articles & Breaking News, Bill & Melinda Gates and tagged GATES, India on February 9, 2017 by Editor. 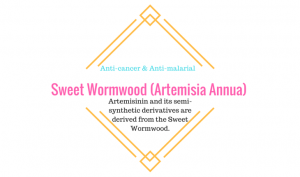 Hammond’s team is genetically engineering the Anopheles gambiae mosquito, which is the primary species that spreads the malaria parasite. Nearly all of the offspring of the modified mosquitoes inherit mutations that knock out the genes females need to make eggs. Many scientists think gene drives could have their biggest impact on agriculture. Gene drives might, for example, enable researchers to quickly transform entire crops so that farmers don’t need to use polluting pesticides. Would It Be A Bad Thing to Wipe Out A Species … If It’s A Mosquito? “This is our chance to solve some of the world’s most pressing problems using biology,” says Kevin Esvelt, a gene-drive researcher at the Massachusetts Institute of Technology. But critics worry gene drives are just too powerful and could easily produce unintended consequences. This entry was posted in Bill & Melinda Gates, Eugenocide/Population Control, Food & Water, Genetically Engineered Food, Government experimentation on the public, RESEARCH, STUDIES, DOCUMENTATION and tagged Genes, MOSQUITO on December 15, 2016 by Editor. 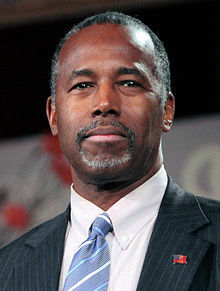 VLA Comment: Ben Carson may be appointed as HHS or at the very least head the replacement of Obamacare. 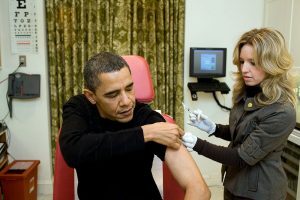 Will he insert vaccine requirements for children and/or adults? He also may head of Dept. of Education which also overlaps education and mandated vaccines to attend school! We hope he is open to be educated specifically on vaccines, encouraged to do so by Donald Trump. This entry was posted in Articles & Breaking News, Bill & Melinda Gates, Liberty & Freedom Room, Pregnancy and birth, Vaccine Injection Room and tagged Ben Carson, executive order, global vaccines, obama, obama vaccines on November 12, 2016 by Editor. Creating Global Governance step by step…follow the money! Maputo (IINA) – The Islamic Development Bank (IDB) and Bill & Melinda Gates Foundation have launched $500-million worth fund, called “Life and Living Fund,” to fight poverty and diseases. The decision was taken by Dr. Ahmad Muhammad Ali, president of IDB, and Bill Gates during the 40th annual meeting of the IDB, being held in Maputo, Mozambique, on Wednesday.The new fund aims to tackle poverty and disease in 56 IDB member countries, through support for health-care programs, small agricultural holdings and basic rural infrastructure. Dr. Ali said that the fund will enable the Bank, through a combination of funding from donors and mobilized resources from the market, to provide additional funding of up to $ 2 billion, over five years, to fight poverty and disease in the member countries, especially the least developed member countries. The IDB president expressed hope that the fund would start operations in early 2016 thanks to the generous donations from the Gates Foundation and the Islamic Solidarity Fund for Development. For his part, Bill Gates said that some member countries of the Organization of Islamic Cooperation (OIC) has achieved remarkable economic growth and stability, pointing out that more than one billion people in the world live in abject poverty, 400 million of whom live in the Muslim world. The Gates Foundation is pushing chemically based agriculture and GMOs into Africa. The Gates Foundation has substantial shares in Monsanto. With Monsanto’s active backing from the US State Department  and the Gates Foundation’s links with USAID , together they comprise a formidable geopolitical strategic force. Those against the genetically engineering based industrialization Africa says “We stand together against the corporate control of our food systems, the lack of accountability of global institutions like the G8 New Alliance For Food Security and Nutrition, the Global Agriculture and Food Security Program (GAFSP), the United States (US) government’s Feed the Future Initiative, the Grow Africa Partnership, the Gates Foundation and its Alliance for a Green Revolution in Africa (AGRA), and others, that are forcing their policies and institutions upon the farmers of the world to open up markets and create spaces for multinationals to secure profits; against the monopolization of our seeds that criminalizes the historical farm practices of saving, sharing, selling and exchanging seeds; against the displacement and dispossession of small-scale farm producers and workers from their lands; against the new Green Revolution, the global Free Trade Agreements, “climate-smart agriculture” and “sustainable intensification”. VLA comment: Lot of blah, blah, blah about women’s right to education. Bill Gate agenda sound altruistic at first blush…but if the virtual education is tied to the common core curriculum agenda then the whole world will be programmed the same-unfortunately programmed by the Corporate interests and the World govt. agenda as backed by Gates. MOOC (Massively open online courses): Learn about and explore tools to incorporate Common Core literacy standards into your content area. In this course you will explore Literacy Design Collaborative resources, and develop a plan to use one of those resources within your context. Common Core was developed at the behest of two private Washington, D.C. lobbying organizations, the National Governors Association (NGA) and the Council of Chief State School Officers (CCSSO). Gates doesn’t address concerns that Achieve, Inc., the group that the NGA and the CCSSO assigned to develop the standards, did not include educators or child development specialists; that development was done behind closed doors; that the standards adopted in most states of the nation were never piloted, anywhere, by anyone; and that the federal government requires personally identifiable student information from schools as an integral part of Common Core. Education, and Common Core – What is common core? Bill and Melinda Gates Foundation has granted over $2 billion to Common Core development and implementation. Recent research by Jack Hassard, Professor Emeritus at Georgia State University, indicates that the Gateses have to date spent $2.3 billion on Common Core. (TruthInAmericanEducation.com, 3-18-14). Gates is “a promoter of global sameness of education as defined by UNESCO and the United Nations.” (WhatIsCommonCore.wordpress.com, 3-28-13) Gates is certainly active within the United Nations and has expressed agreement with UN policies such as Agenda 21 is a UN-sponsored action plan that promotes “sustainable development” and global governance at the expense of private properties, individual liberty, and national sovereignty. Some Common Core concepts align with Agenda 21’s education goals. 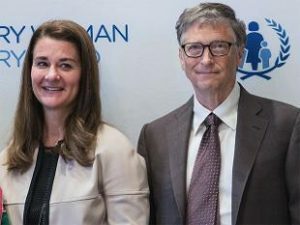 La empresa Innova Quality recibió de la Fundación Bill y Melinda Gates US$100.000. 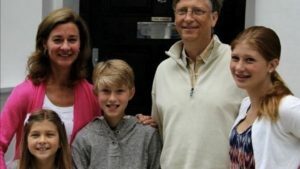 Sin embargo, esta es solo la cuota inicial de un premio mayor: US$1 millón que podría recibir para fortalecer la investigación en nuevos materiales y empaques con el objetivo de desarrollar el que Bill Gates catalogaría como el mejor condón del planeta. TRANSLATION: Innova Quality received from the Bill & Melinda Gates Foundation $ 100,000 . However, this is only a down payment on a bigger prize : $ 1 million could receive to strengthen research on new materials and packaging in order to develop…IN SPANISH GATES DONATES TO INNOVA. This entry was posted in ARABIC, Bill & Melinda Gates, Genetically Engineered Food, Liberty & Freedom Room, Propaganda Room, UnHerd of Education on June 15, 2015 by Editor.